A rare find in the South End of Newburyport. 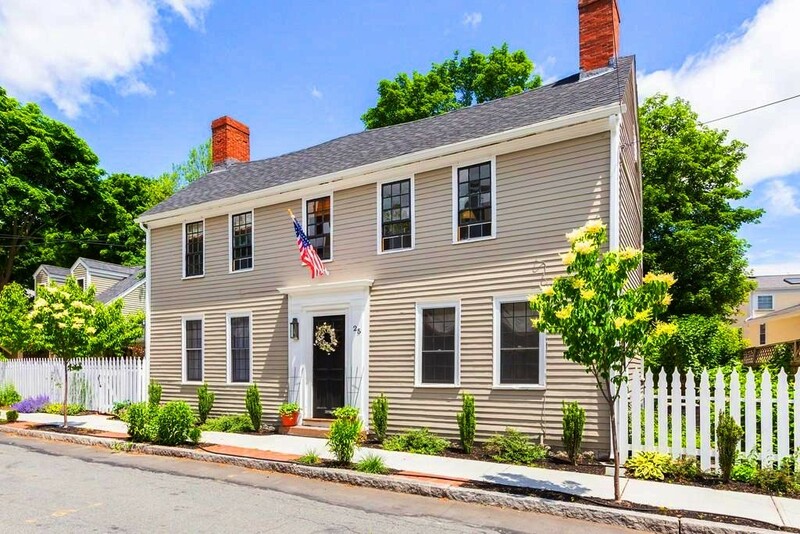 This wonderful 1770 Colonial is a perfect blend of antique warmth and charm with many of the modern features and amenities that today's buyers are looking for. The current owners have lovingly restored much of the original home and added a cooks kitchen and family room with a 3-season porch overlooking a large back yard with expansive perennial gardens. This large, double lot is a rarity in the South End. The spacious master suite includes a large walk-in closet and luxurious bath with a custom tiled shower and stone soaking tub. The new 13' x 8' mud room leads to an open breezeway connecting the house to a new 2-car garage with bonus space above, which can be used as a studio/workshop or finished as a playroom or home gym. Located one block from the former G.W. Brown School (now the home of Newburyport Youth Services) and several blocks from downtown Newburyport, minutes to Plum Island beaches and the MBTA commuter rail.